The WordPress market is full of themes and plugins that assist users in developing and building creative websites. Sometimes choosing the right theme and the right product for your business can be a tough decision since many themes may offer the same specifications. To solve this problem we bring for the users featured articles that highlight the top web and theme developers. 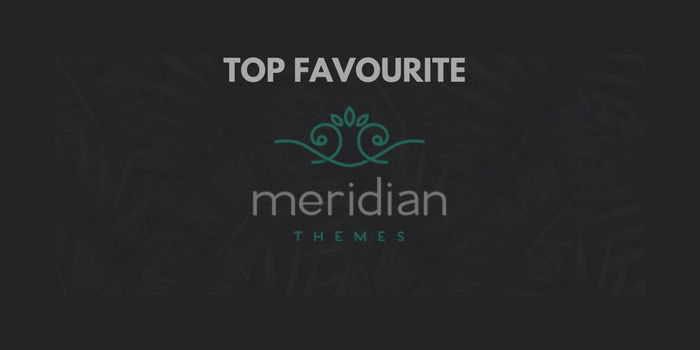 Today, in this article we discuss the best and most user-friendly themes developed by the most popular Meridian Theme developers. The creative developers are primarily known for developing products for freelancers, bloggers, professionals & specialists and for business sites and owners. Therefore, the themes provide easy options for customization and have been built by a powerful support system to guide the users. The themes are compatible and effective to be used for other plugins. The themes are also responsive and adjustable for various devices and browsers. The most important part is that the themes are easy and convenient options to be used by all kinds of users. The theme has been built specifically for health and beauty bloggers. The theme is a responsive HTML5 template to display a full-screen background which provides a full page view of the blog design. The theme is compatible with the browsers; Internet Explorer 8+, Safari, Firefox, Chrome, and Opera. The theme comes with an operational code and CSS3 styling code. The main features of the theme includes a fullscreenr, flexislider, photoswiper, pretty photo, a full-screen background. The theme also includes widget buttons for navigation and icons to provide ease to the users. Furthermore, the developers can change the color schemes with a few easy options. 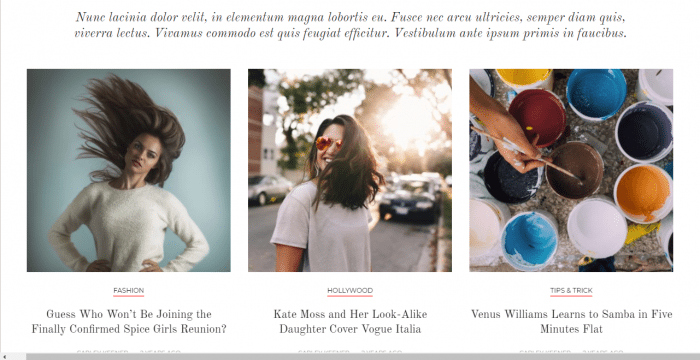 The theme has been developed for all types of magazines and blog designs but are specifically useful for feminine beauty blogs and posts. the users can build customized homepages with variation in posts and content. The major features of the theme include 7 different types of post sliders, 4 post layout formats, 5 types of header layouts, 11 types of content modules, 9 templates for building homepages (which includes demos that have been pre-installed). The theme also integrates with Yellow Pencil to enhance the design and creativity of the site within a limited time. This theme has been designed specifically for catering to one special event i.e. a wedding. Meridian Themes has now made it easier to plan and arrange for a wedding ceremony. The main functions of the theme provides assistance in deciding and managing the schedules for marriage, the theme keeps a track of the bridesmaids and the groomsmen and the major activities. The theme also manages the RSVP list and suggests different options for styling and management. The major feature of the theme is that it provides the users (who in this case are the couples to be wedded) complete control of the organization process. The theme provides options of changing colors, spaces, and other topographical elements without using codes for functioning. The main purpose of the theme is to minimize the hassle and organize the guest lists and confirm the invitations to inform the couple about the number of people with the help of custom modules. The provides options that can be customized in terms of the appearance of the wedding site. This theme has been designed to suit the requirements of travel bloggers. The theme is a modern styled display that showcases content in a simpler yet engaging manner. The content and photos are organized in accordance with grid lines and the layout. The theme is equipped to manage personal portfolios, thoughts, media content including photos and gallery and other forms of content sharing options. The website can be customized and be designed according to the preferences of the travelers and users without the need of using codes. The main features of the theme include responsive designs and formats, the content and display can be customized in various styles and formats that are aligned with grids. One unique feature of the theme is that it can be linked with social media profiles on Instagram. The theme is multi-linguistic and can translate different web pages. The front end features and elements including the fonts, styles, and margins can be changed according to preferences. This theme has been designed especially for the fitness and health of females. The modern theme engages fitness bloggers, personal trainers, gym trainers and managers and health consultants. The main purpose of the theme is to create an interesting site for the visitors by presenting content and health goals in a modern and stylish manner. The theme is responsive and adjustable on devices and is convenient to handle. The major features of the theme include the ease with which data can be imported through a single click. The theme saves the users time by providing templates for adjusting content and provides the option of creating personal web pages. These pages can be used by trainers and health & fitness instructors to schedule classes, also to provide information regarding the benefits of these classes. The theme also features a newsletter in the form of widget “MailPoets” for signups and subscriptions. The site can be customized without the use of codes. The layouts include; 1 and 2 column options with sidebars, 2 and 3 column options with full width. The features also include social media icons, translation ready products, the theme functions with WP 4.4 + and with 3.0 (drop-down) support. This theme is one of the most versatile products that has been designed beautifully to present gossip and general topics for engaging women. The concepts of the theme are comprised on including food recipes, articles on various topics and general issues and latest news and gossip. The theme enhances the content by presenting a visually attractive web page with a range of colors and designs. What makes it convenient for the users is that they can choose from 19 modules to build the site. The theme allows social sharing to select and mark the interesting and preferred articles and recipes. The major features of the theme includes it being responsive and adjustable, the content can be organized with the integration of header designs, custom widgets, the option of printing buttons, newsletter groups, translation ready, and functions with WP 4+ and 3.0 drop-down support option. Meridian Themes is aimed towards developing modern and stylish themes for the users to assist them in different functions. The article features 6 of the best and most useful themes that can be used for various purposes. The themes handle the user’s requirements and understand their demand. The themes can be customized and integrated into different styles and are user-friendly. Next Post 000WebHost Review – Why Has it Become a Household Name?